Bots and fake accounts have been used to steal advertising dollars and game digital commerce for years. But new stories of Russian interference are showing that bots and fake accounts are being weaponized by bad actors to cause chaos, disrupt elections, and spread false and misleading information. 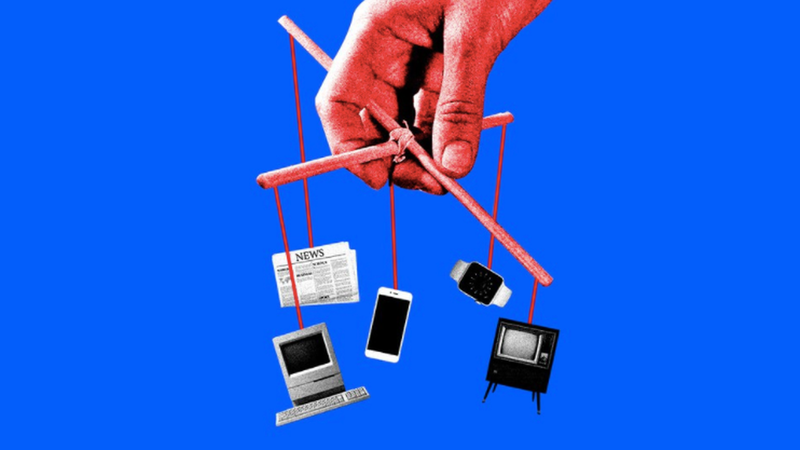 Why it matters: The government has stalled on regulating the digital ecosystem for years, in part because there's no agency that was ever set up to manage the internet, the way the FCC manages radio and TV. But now that the bot problem is affecting politics, Congress is starting to take bots and fake accounts seriously. The largest bad bot criminal ring in history, the Russian "Methbot," was revealed last year to have last stolen millions of advertising dollars, mostly from ad networks, by spoofing common websites with bots and stealing their ad traffic and revenue. White Ops, the cybersecurity firm that uncovered the bot, said they shared evidence about the attacks with law enforcement. But Congress, for the most part, hardly reacted to the Methbot publicly. Go deeper: See my full post in the Axios stream for what Congress is planning for this week and beyond. Cybercriminals could net as much as $3.5 billion in Q4 ad fraud this year, White Ops, a cybersecurity firm focused on malware and ad fraud, will announce today. Q4 is a critical period for advertisers with the holiday shopping seasons. Considering the total ad fraud losses are estimated to be $6.5 billion for all of 2017, that means these cybercriminals will collect over 50% of their payout in Q4 alone. "Over 100 brands saw their ads fraudulently displayed on the sites" in a digital fraud scheme to steal what experts say could be worth millions of dollars, BuzzFeed reported last week. That included some of the world's biggest brands, like P&G and Unilever. $1.3 million worth of fake FT.com ad space was sold programmatically each month, mostly to "domain spoofers" that pretend to be real publishers, the Financial Times said earlier this year. Why it matters: The digital ecosystem, left to regulate itself, is a mess, and part of that has to do with the advertiser fallacy that reaching many people on a wide range of websites for little money is effective. Go deeper: One of the smartest pieces about how this flawed mentality has been perpetuated to the point of chaos was published last week by Business Insider's Mike Shields: "The kinds of sites that are actually available via ad exchanges are far from ideal for most big marketers. Yet most brands seem stunned when they end up getting ripped off by fraudsters." What's next? The Interactive Advertising Bureau (IAB) launched an industry-wide project called ads.txt to prevent various types of counterfeit ad inventory from being exchanged across the ad ecosystem. Try typing in any publisher's URL followed by /ads.txt and you will be able to see which ad networks it has authorized to sell its inventory programmatically. Here's what it looks like for nytimes.com. Alex Wallace, head of Oath Studios, tells Axios that the company is planning on expanding Slick to its technology properties, TechCrunch and Engadget, in the coming months, and says there's interest in expanding to other publishers. Both the AP and Reuters have signed on to have their content produced across Oath using the tool, and other partners including Time Inc and NBC Sports are currently testing the product. Why it matters: Growing mobile video in general has a heavy connection to Verizon's overall focus on video, according to Wallace. "Slick is part of an Oath key initiative this year to grow mobile engagement within Oath's power areas, including sports, news, finance, and mail." These are core areas that will help Verizon develop direct-to-consumer relationships on mobile, something telecom companies have been trying lately with the acquisition of digital media companies. Sound smart: The bigger Oath's content footprint grows, the better it is for Verizon, which could offer favorable content deals for Verizon customers, further driving its telecom business. Matthew Ellis, Executive Vice President and Chief Financial Officer at Verizon, said last week on the company's Q3 earnings call that with "the addition of Oath, Verizon's addressable market has expanded from millions of wireless and wireline customers to about one billion global content consumers." Ellis says Oath revenue was $2 billion for the quarter. Content creators don't always like shooting video vertically, as it requires different tools which can be expensive. But mobile consumers are demanding it, so big web platforms are trying to help advertisers by automatically converting TV-like landscape videos to mobile-first vertical videos. Google told reporters at its Publishers Leadership Summit earlier this month that it's using machine learning to automatically switch all landscape-shot videos in its ad-server, DoubleClick Bid Manager, to vertical videos automatically. Like Oath, Google says this is helping to quickly bring scale to mobile video, but on the advertiser side. 70% of ad impressions served by Google are in portrait mode, but only 5% of advertiser videos are filmed in portrait mode," according to Rany Ng, director of Project Management at Google. Google found that click-through rates increase by over 20% when videos are converted into vertical mode through the automated technology. Snapchat, which was really the first platform to push advertisers to embrace vertical video, released Snap Publisher in July. It's a web-based tool to help advertisers quickly convert horizontal ads to vertical. Snapchat unveiled its 10-second vertical video ad format for its video content platform, Discover, over two years ago. BuzzFeed: The viral web publisher has introduced BuzzCuts, where it takes TV ads and turns them into a short video or gif-like visual that translates well to mobile phones, according to Business Insider. Some digital ad formats have become so invasive in the U.S. that in many cases, users are saying they want to be rewarded for having to sit through them. According to a recent AdColony survey provided by eMarketer, more 40% of respondents find "rewarded video ads," where they can win some sort of prize for watching, as the most acceptable ad format. "Playable ads," which let viewers play part of a game immediately, ranked second. Axios recently highlighted a more general advertising survey that found that in general, people hate pop-up ads and pre-roll over all other types of media ads, like TV and print. In an attempt to lure viewers with ads, BuzzFeed is letting advertisers create mini quiz ads that mimic the quiz-style journalism it's become famous for publishing. Go deeper: Why "Payoff" ads are surprisingly effective. Some of the biggest names in conservative digital media are seeing big traffic declines over the past year, according to comScore data pulled by Activate and Axios. On the other hand, business-centric sites, like CNBC, Business Insider, and Bloomberg are seeing big traffic bumps. Go deeper: IJR and Daily Caller contest the numbers. Families with young children are now more likely to have a subscription video service such as Netflix or Hulu (72%) than they are to have cable TV (65%). 10% of kids age 8 or under own a "smart" toy that connects to the internet and 9% have a voice-activated virtual assistant device available to them in the home, such as an Amazon Echo or Google Home. Why it matters: Axios' Ina Fried spoke with Sara DeWitt, vice president of PBS Kids Digital, who argues that screen time isn't necessarily a bad thing. But DeWitt says a few things got lost in the message. "It's not like blanket all screen time is great," she said in a recent interview with Axios. The bottom line: There are two things to keep in mind, she says. One is that the right amount of screen time really depends on the kid, and the other is that not all screen time is created equal. The key, she says, is for parents to be proactive. Go deeper: Read Ina's full interview here. New from Broadcasting and Cable: "The Federal Trade Commission will allow Internet-connected devices, including children's toys and personal assistants, to record and store the voice of a child under 13 without seeking parental permission so long as it is only for the replacement of written words with voice commands in performing search and other functions on those Internet-connected devices and then destroyed ASAP."